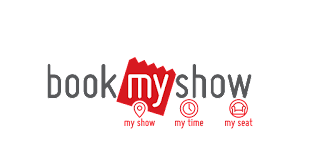 Bookmyshow is an online ticketing startup based in India. Convenience Fee Charged (85% of Revenue) – The startup charges it’s users a convenience fee over and above the ticket price. Turnkey Solutions for Events & Sports (10% of Revenue) – Bookmyshow offers turnkey solutions to various events, from generating user interest to selling their tickets online. Software Solutions (5% of Revenue) – This is the revenue charged from cinemas for the software solutions provided and their maintenance. This software includes online integration and the facility through which users can get printouts of the bookings they have made online. The startup is also looking at developing an advertising revenue model aimed at production houses. Regulation – Regulation can be a cause of concern for the startup, something which has happened in the past as well. Maharashtra Government, in 2013, decided to scrap the convenience fee in the state. New Competition – Currently the startup is a dominant player in the market, with very little competition. A new big entrant can play with this convenience fee to compete and establish itself.